Do you sell your services? Site2go make websites for small and medium sized service businesses. If you need a brand new website this is a fantastic deal. Get a four page site with a blog section for a very competitive price. And anyone else who sells their skills and services, as opposed to products, like books and hand bags. If you do sell products I recommend using Shopify. Site2go use the WordPress content management system. WordPress is the most popular CMS used in website design for small businesses. WordPress is like a word processor, but it publishes web pages instead of printed pages. Sony, Ebay, and the Rolling Stones use WordPress. In fact close to 20% of all new websites use WordPress. Editing web pages with WordPress is much easier than using computer code. You just highlight the text and use point and click formatting buttons to add headlines, photos and bulleted lists etc. The software has the look and feel of a word processor. 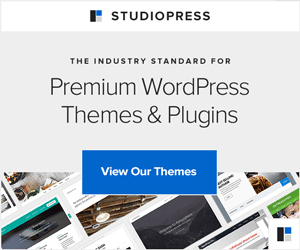 This makes WordPress ideal for website design for small businesses. Building a site for a service selling professional is relatively simple, compared to building an e-commerce site. And if you’re happy with an off the peg design the cost can be surprisingly low. Things you need before you have a website designed for your small business. The website is where all of your words and photos live. Your domain name and web hosting are just ways for you to rent space on someone else’s web server. How much do Site2go charge to set up a website design for small businesses? 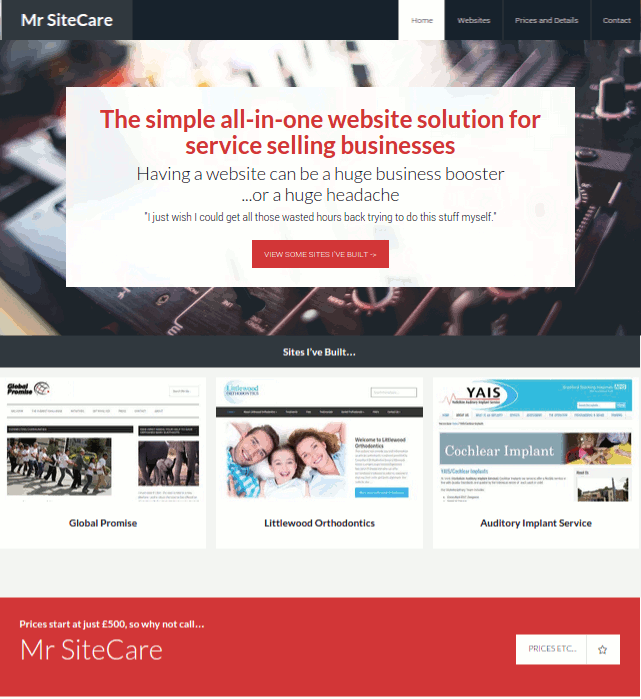 Site2go can install WordPress and a web design for a very competitive price. You’ll also need reasonable quality web hosting starts at about £50 per year. To keep things simple and as cheap as possible, Site2go only set up sites on Bluehost web hosting. This company is recommended by WordPress and I’ve found them to be good quality. But please don’t buy hosting until you’ve checked to see if Site2go are available to do the work. You’ll need to write some basic content, You could start with just 3 pages. Our services. About us. Contact us. 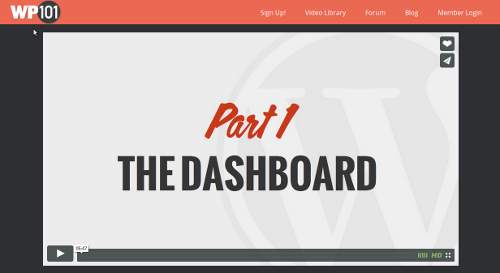 A WordPress site can have thousands of pages but you have to start somewhere. Once your small business website is set up you can add new pages or blog posts any time you like. Do you want to add new pages to your own website? WordPress makes this easy. Using WordPress is like using a word processor. But instead of pressing the print button you press a publish button. The page you made is published inside your website and can be seen online. What about keeping your website secure? WordPress can automatically update itself. However, when you log on to your site you’ll occasionally see an update notification. You just click to update the site. It’s like updating your virus scanner on your PC. Do you want some training? There are countless websites and books that explain how WordPress works. But one site is head and shoulders above the rest. It costs about £29 ($39) per year. You just log in and watch a video about the task you want to do. There are videos about adding new pages to your site, adding images to your pages and much more. There are currently over 25 videos in the series. Most videos are 5 minutes or less. You don’t have to use this training but I highly recommend it. The skills you learn are well worth the cost of the subscription for anyone getting a website designed for their small business. Please note, I only maintain websites I’ve built myself. Wouldn’t it be nice if you never had to worry about the technical side of your website? What if all you had to do was plug in the information you want to deliver to your readers and prospects. And it looked fantastic. More and more businesses are choosing to have their sites maintained. And it makes a lot of sense. You’re in business to deliver the service you are an expert at. Tinkering with computer code and technology is great – if you enjoy it. But if you don’t, it can take a real chunk out of your day. And still leave you feeling frustrated with the results. Your business deserves to look good online. You can make that happen with a minimum of fuss and for a reasonable price. 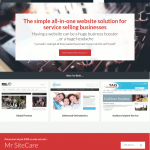 Why not pop over to my other site and see if a maintained site is right for you. Mr SiteCare is here to help you shine!